As the United Way of Central Alabama‘s “Why I Give” Campaign continues, we want to say thank you to everyone who has already made a commitment and to all those who plan to give. We are proud to say that 100% of the staff here at RMHCA gives to the United Way. It is something we believe in and we see first hand what the United Way can do to help organizations just like us. If you follow us on Facebook (and we hope you do!) we have been sharing our reasons for giving on Wednesdays — “Why I Give Wednesdays” — and we would love to hear your reasons for giving, too! If you have missed them on Facebook, you can check out the pictures on our Flickr page too! You may or may not know that Ronald McDonald House Charities of Alabama is a designate only organization. What does that mean?? 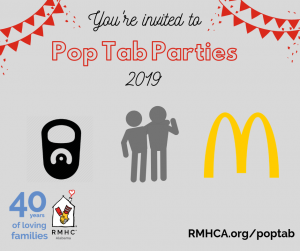 In order for RMHCA to get any of your donation to the United Way, you must write in “Ronald McDonald House Charities of Alabama” and designate how much (percent or dollar amount) you would like to go toward keeping families together when they need each other most. We are thankful for all of the support the community shows us. If you do not give through the United Way, you can always give directly to RMHCA. Every little bit helps families stay together and close to the medical care they need.